On Sunday evening before the Washington Capitals game, the team presented 800 meter freestyle swimming gold medalist Katie Ledecky with a Ledecky Caps jersey. 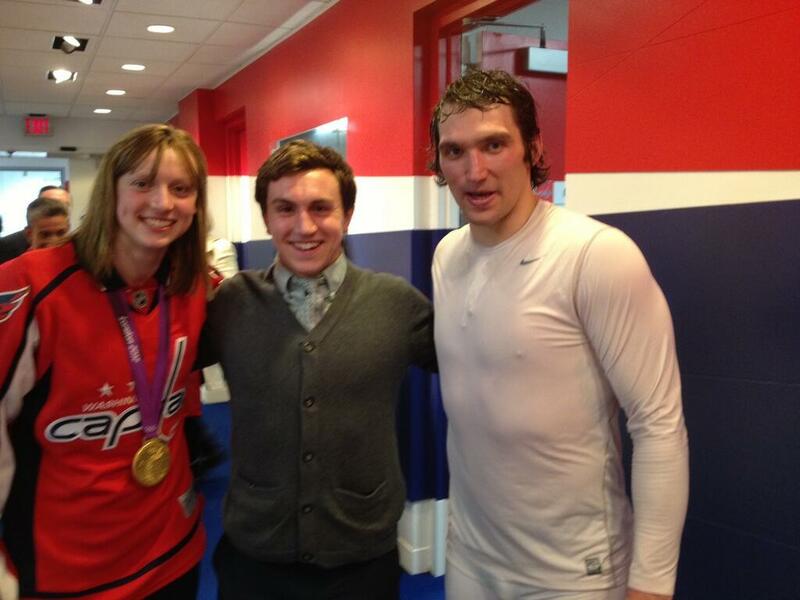 Katie won the gold in London during the 2012 Summer Olympics as a 15 year old and was celebrating her 16th birthday at the Caps vs Sabres matchup. Rod Langway was on hand to present the Bethesda Maryland medalist with her sweater. 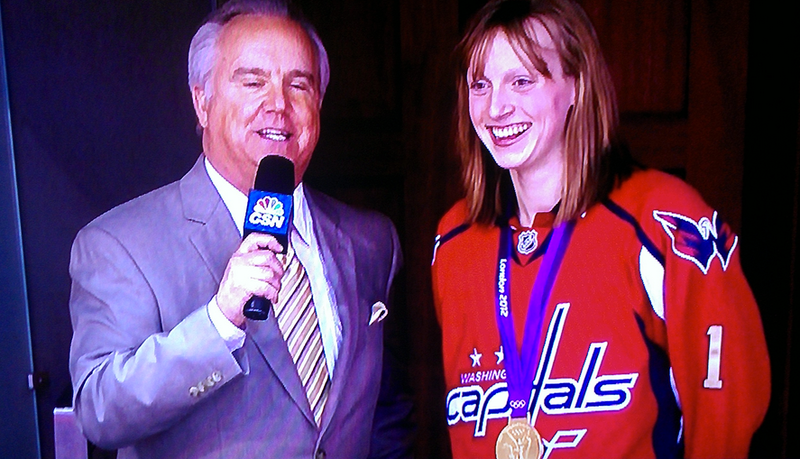 Ladeky spoke to Smokin' Al Kokin during the second intermission, her gold medal draped around her neck. The jersey name and number were both Gold to match her medal. 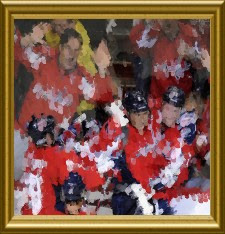 "The crowd's reaction meant a lot to me, it was a lot of fun"
Katie said she has been going to Caps games since she was 2 years old, that Adam Oates was her favorite player, and that Adam Oates loves Starbucks. Ladecky's also talked about how her uncle was at one point part of the ownership group of the Caps.